Model Aircraft is the term used by Transport Canada to describe a remotely piloted aircraft of 35 kg or less, used for the sole purpose of recreation. For fun. UAV is the term normally reserved for similar devices, but limited to 25 kg and used for all sorts of purposes other than recreation. In this training, we will address the regulatory framework of UAVs and best practices that are common to all small, light-weight remotely piloted aircraft. Canadian Aviation Regulations apply mostly to UAVs. This distinction based on the use may disappear in future regulations, nevertheless, is it still current today. The training is completely taught by an instructor and covers the flight rules, airspace and flight plans with practical examples. You will quickly learn to navigate Transport Canada’s website. You will be led through all the steps of planning a remotely piloted flight, including predicting winds in a risk matrix. You will learn the official rules of flight in immersion (FPV) and the current situation in insurance and responsibility of pilots of model aircraft (recreation) and UAV (work). The 2.5 hours of instruction pass quickly and enjoyably. It is the greatest source of information available in Canada for recreational pilots of remotely piloted aircraft, all from the comfort of your own home! 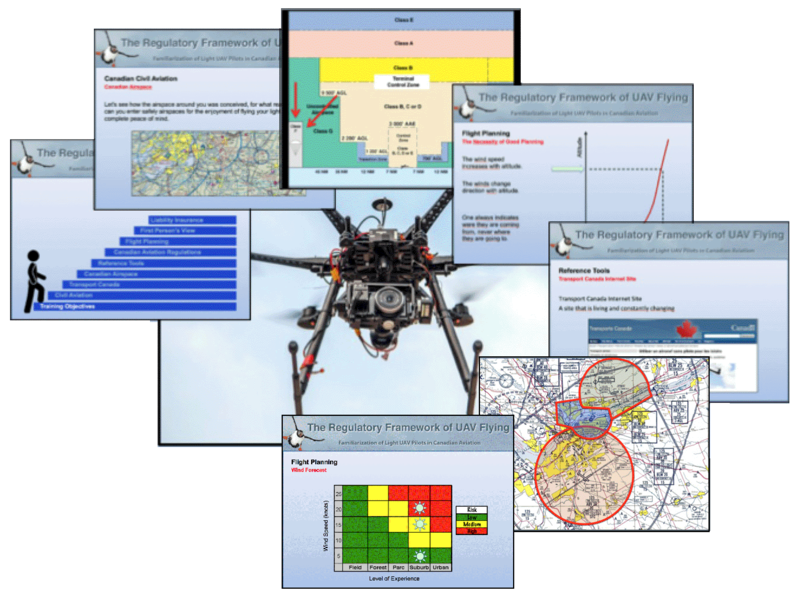 This short online course being a familiarization to the regulatory framework in Canada, doesn't meet the TP15263 requirements for professional UAV pilots. Total time estimated : 2 hours 30 minutes. 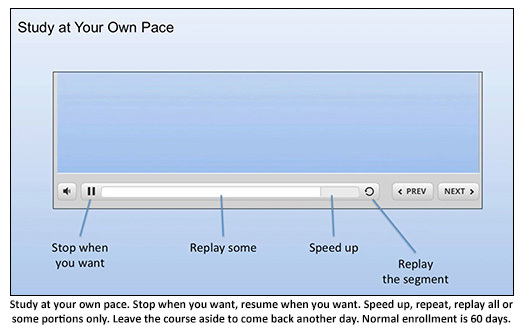 Study at your pace, your access lasts 60 days. Course available in English or French . Gift certificates are available. Valid for one year, they are usually sent via email with 48 hours of purchase.